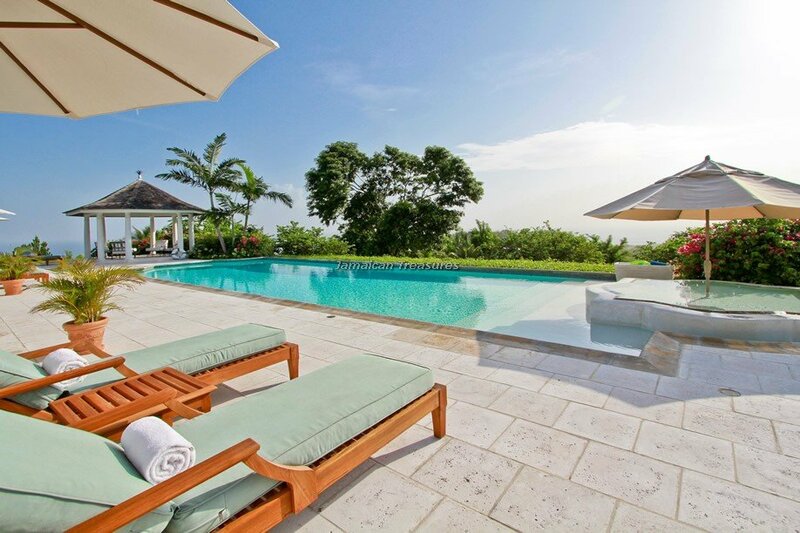 Bougainvillea House is a beautiful luxury villa. 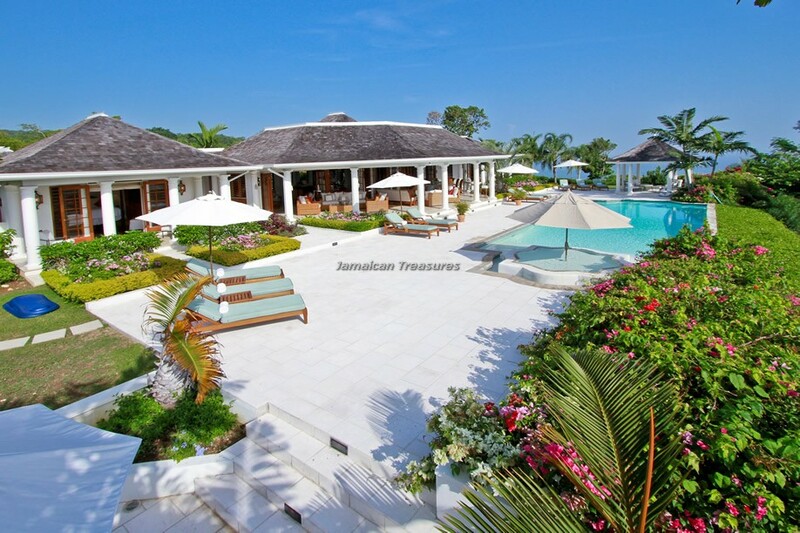 The lavish villa in Jamaica provides unsurpassed luxury and offers every 21st century amenity. 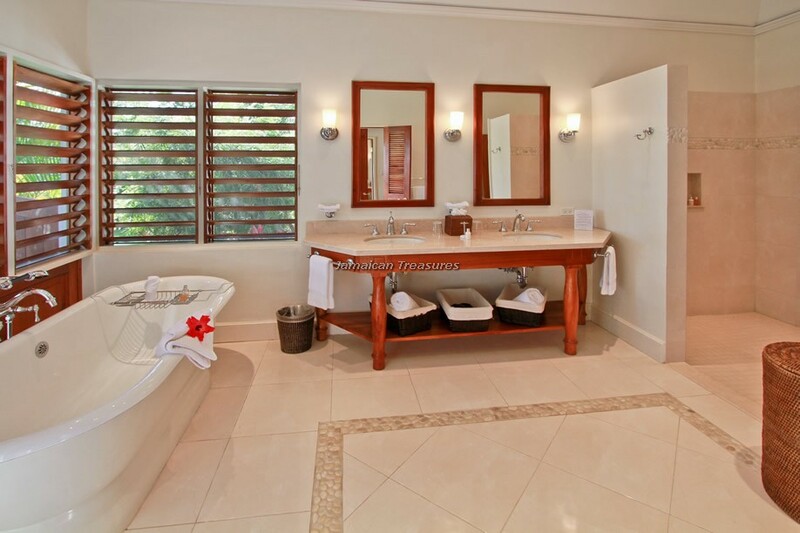 Designed by a renowned Jamaican architect, the villa covers over 8,000 square feet. 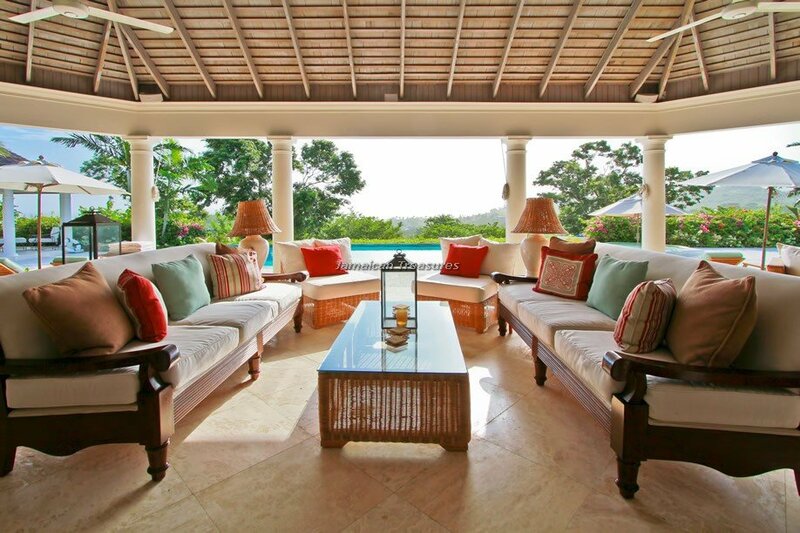 The expansive verandah at Bougainvillea House is more than 50 feet, providing a relaxed and grand venue for spending a relaxing time. 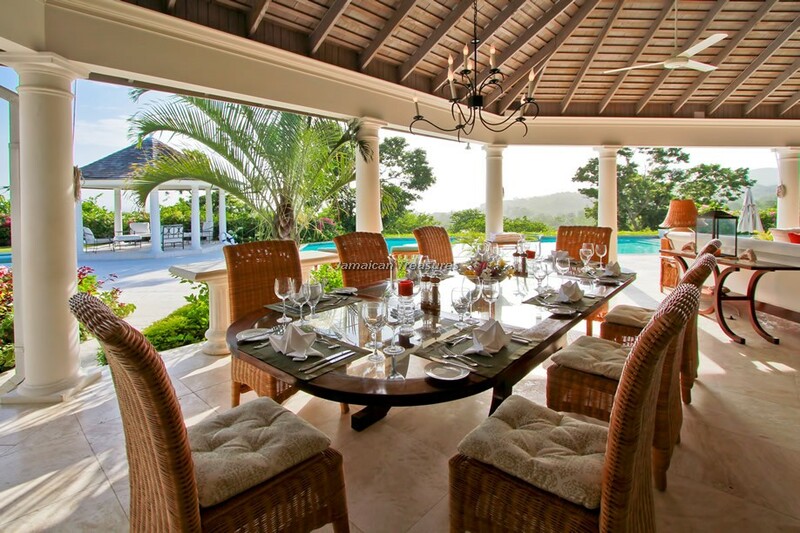 The dining table on the verandah seats twelve persons comfortably and sufficient sofas offer the perfect place for relaxing and enjoying lovely views of the large pool and the sparkling Caribbean Sea. 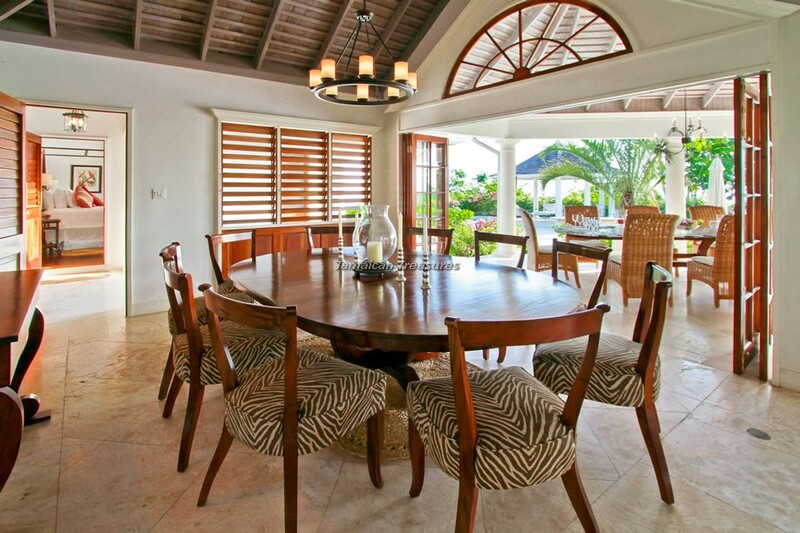 The beautiful dining room with custom-made mahogany furniture seats fourteen for more formal occasions. 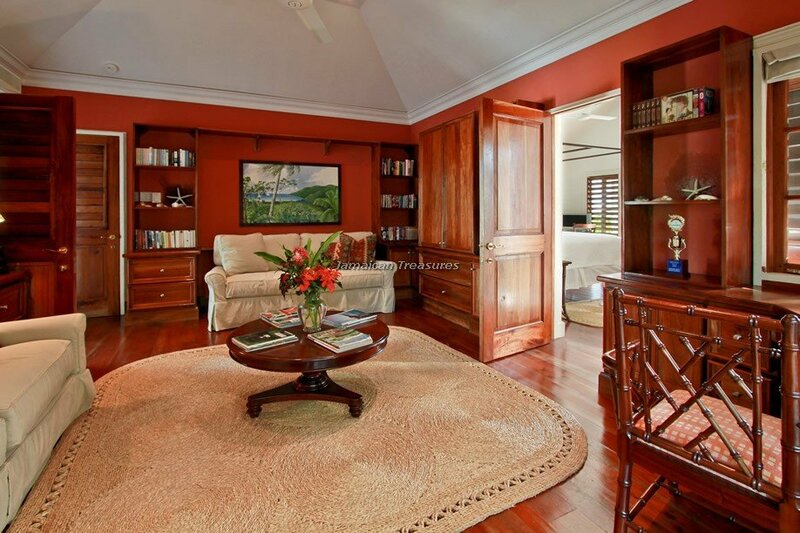 After a meal, guests can enjoy the lovely sitting room or the comfortable family room with flat screen television and home theatre. 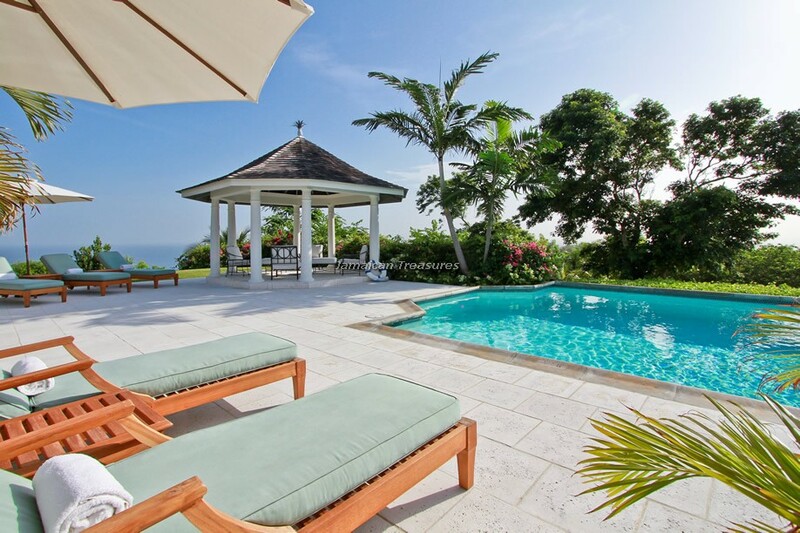 This fabulous Jamaica villa offers an excellent solution to the pervasive challenge of bedroom allocation by having four master suites. 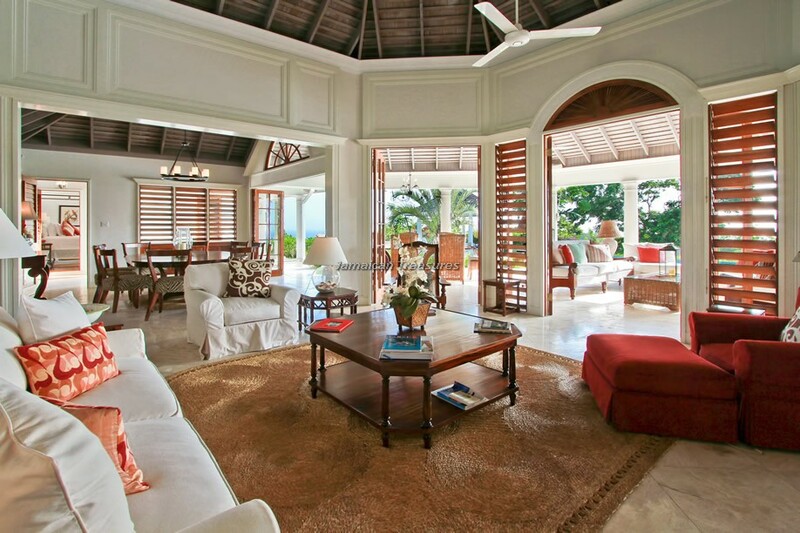 Each one has a private veranda, sea views and is furnished with king-sized or twin beds. 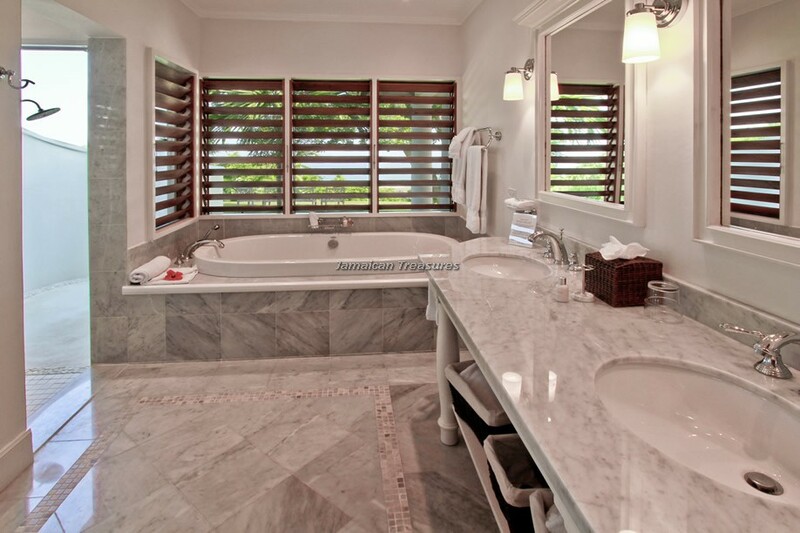 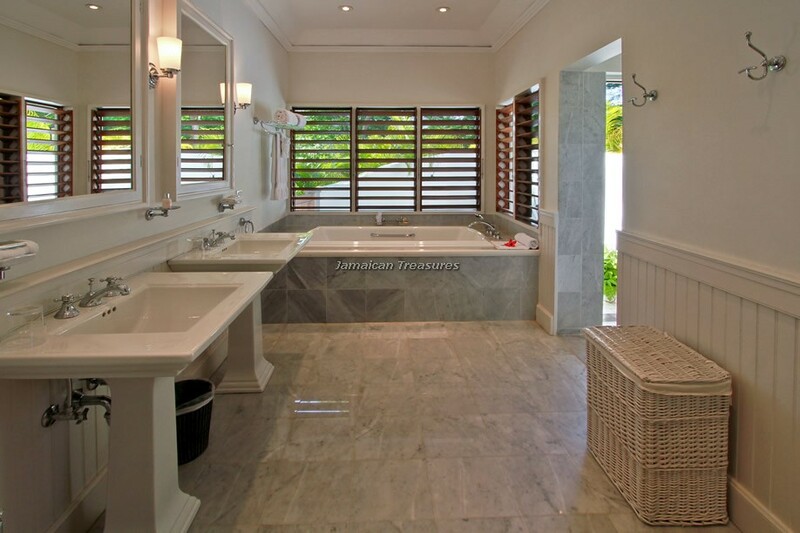 Large marble en suite bathrooms are glamorous with inside and outside showers, two sinks and large bathtubs. 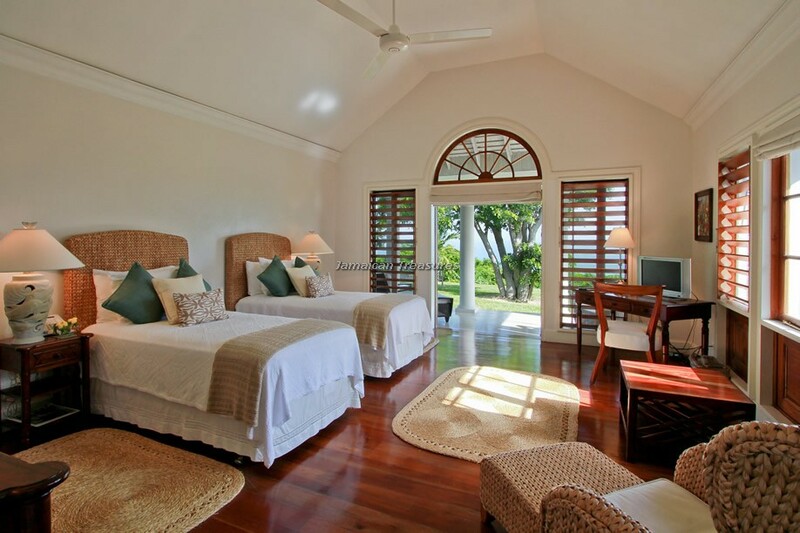 The fifth bedroom is ideal for children or adults with two double beds, a daybed, sleep sofa and its own large bathroom. 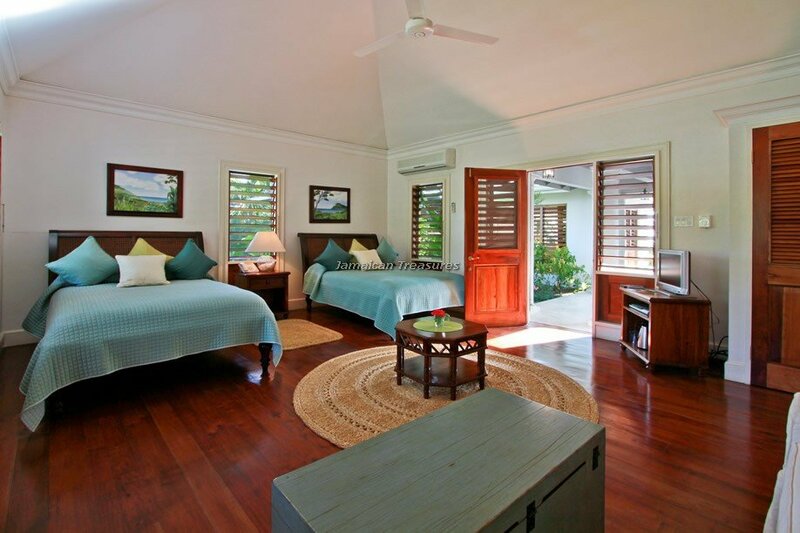 All the bedrooms have air conditioning, flat screen televisions, DVD players and telephones. 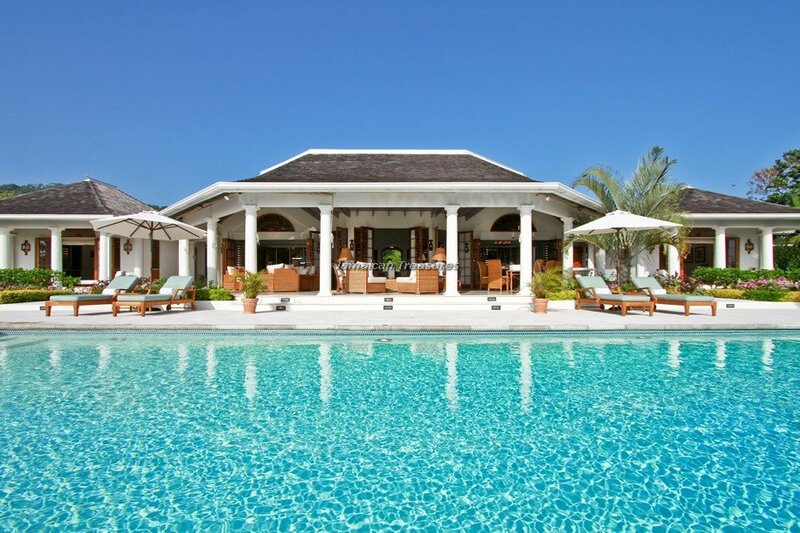 Bougainvillea House offers several options for entertainment including a large swimming pool, championship golf course, a beautiful white sand beach, tennis courts and a library, equipped with high speed internet access and VOIP. 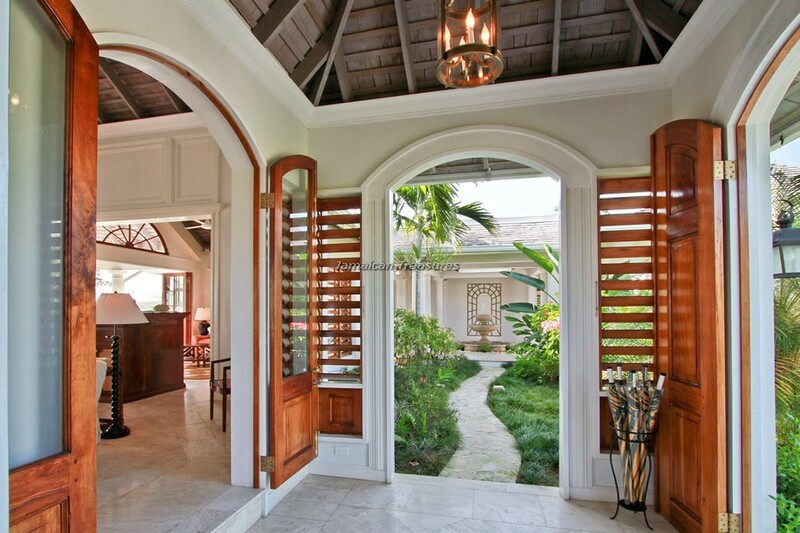 Wi-Fi is available in all the main rooms and on the verandah. 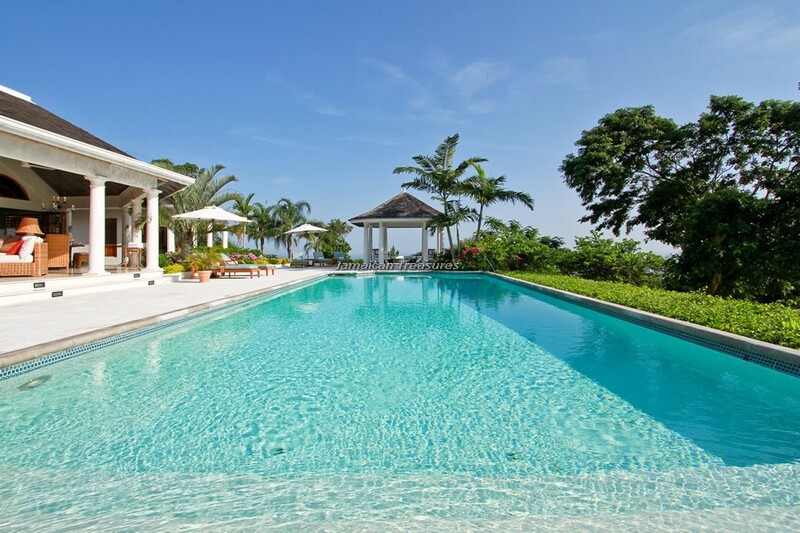 The centerpiece of the three acres of beautifully landscaped gardens is the 60 feet swimming pool, with a lovely gazebo at one end and a children’s wading pool at the other. 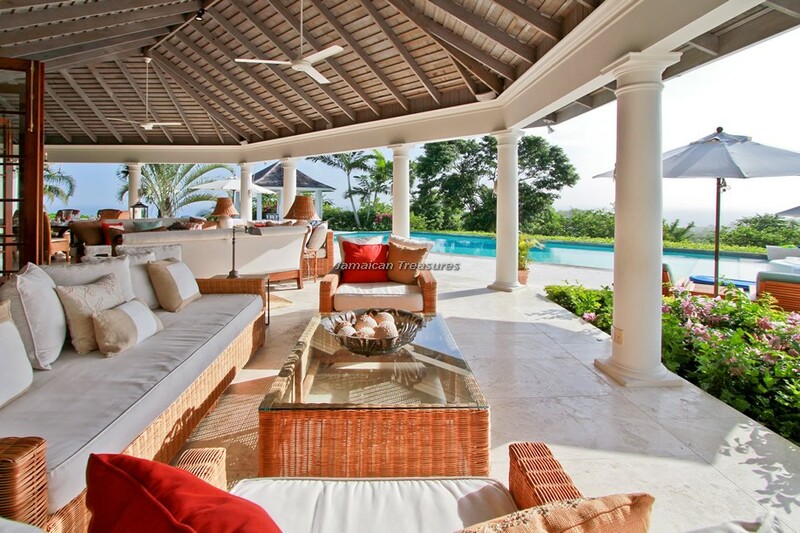 The pool deck offers sufficient seating and lounging areas. 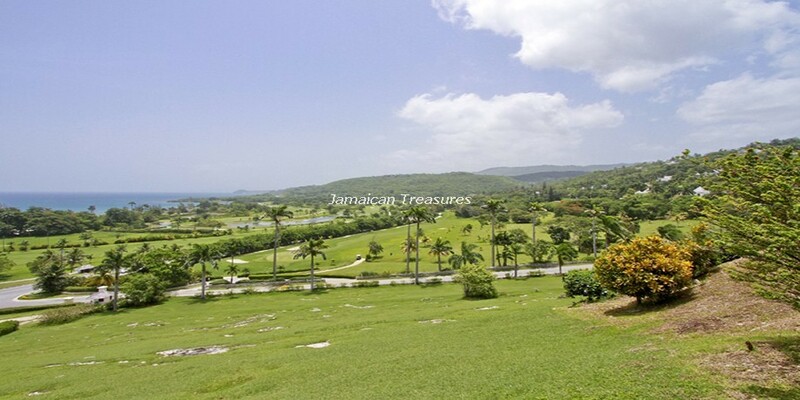 Two golf carts are available to the guests for exploring the wonderful facilities on Tryall’s 2,200 acres. 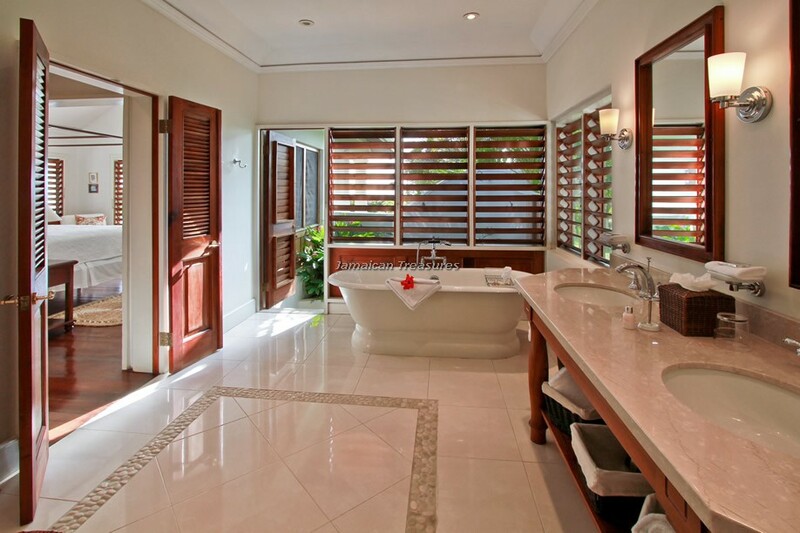 Ten guests can be whisked away for tea time, tennis games, spa appointments or restaurant meals in a few minutes. 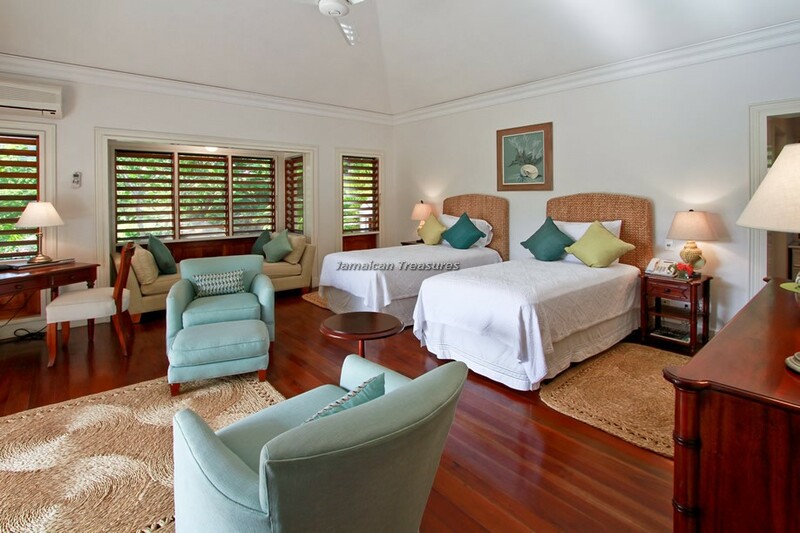 The charming and experienced staff of five at Bougainvillea House comprises a butler, cook, housekeeper, laundress and gardener. 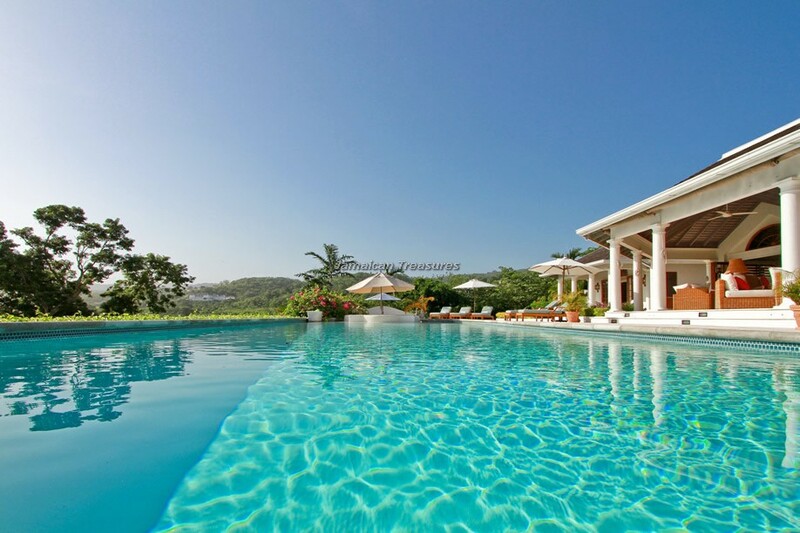 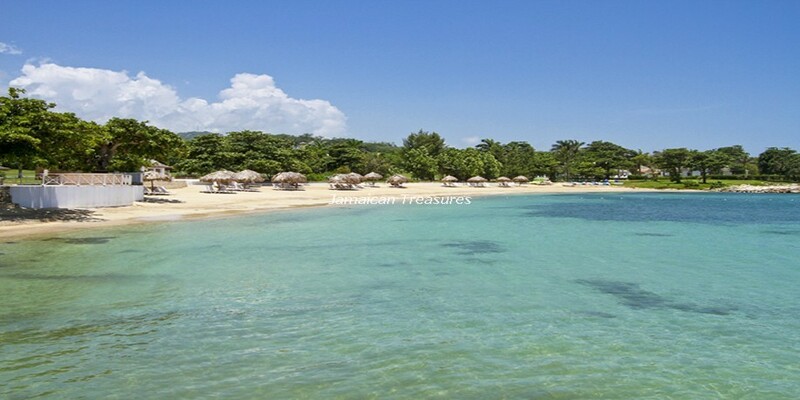 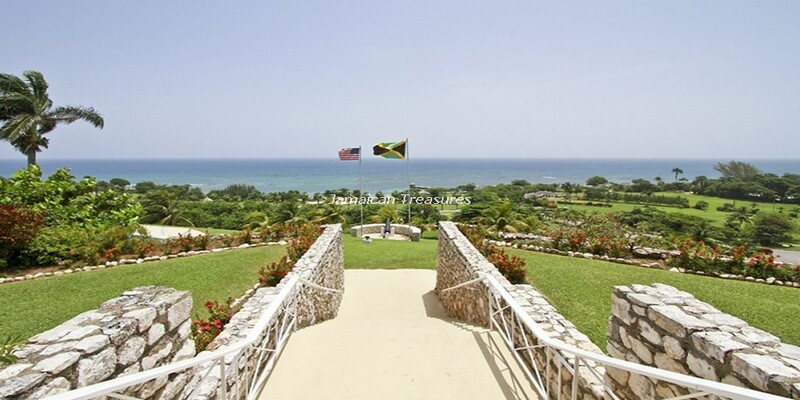 They do not let the guests do anything except enjoy this wonderful villa rental in Jamaica. 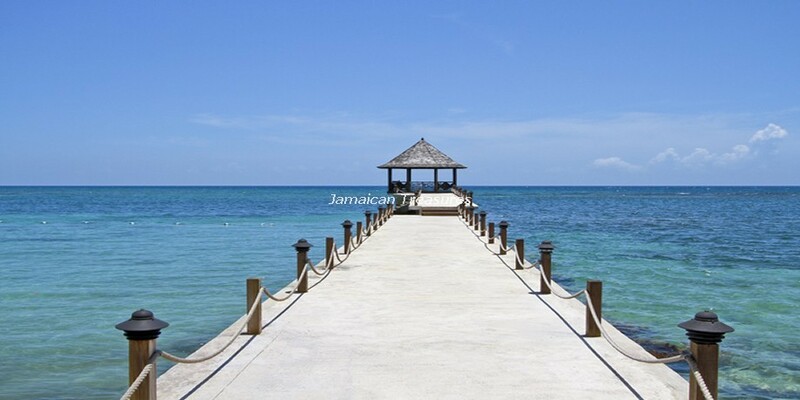 The unmatched hospitality of the staff makes guests feel at home very quickly, making it difficult for them to leave at their vacation’s conclusion.